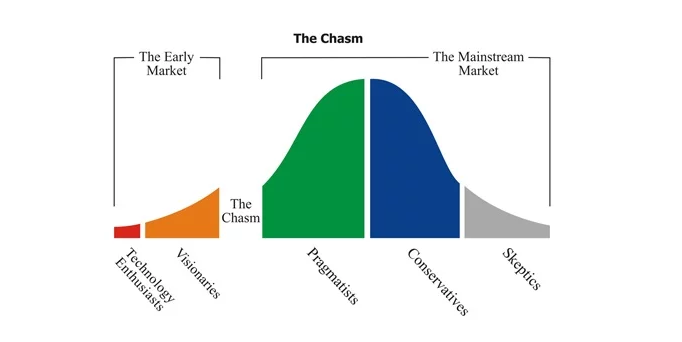 Building on Everett’s study: why all the fuss about crossing the chasm? 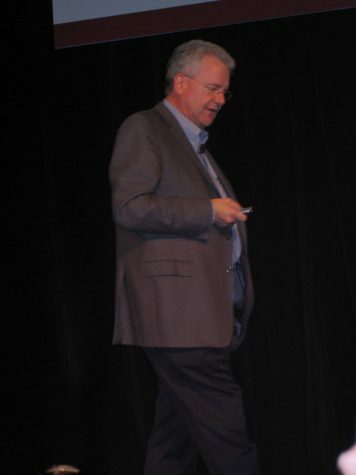 In 1991, Geoffrey Moore published the book Crossing the Chasm. The title is drawn from his addition to the Diffusion of Innovations theory, popularized by Everett Rogers in his 1962 book, and expressed by Roger’s Bell Curve. We have discussed diffusion research, and we have talked about the bell curve. Today, we introduce the chasm. Rogers’ Bell Curve demonstrates how innovation spreads through markets. Those of you in innovation-based industries can acknowledge how important it is to understand the difference between an early adopter and the majority when we think about how to sell and market to people. Since the Diffusion theory is often expressed in the context of technology, it is also referred to as the Technology Adoption Lifecycle. Whatever you call it, the bell curve makes sense. Moore’s addition is a gap, or chasm, dividing the early adoption and the early majority. However, there’s a factor to consider whether a chasm exists in the lifecycle, and that is continuous or discontinuous innovation. Now, what is continuous or discontinuous innovation? Continuous innovation is an incremental improvement of an earlier innovation. There is no chasm here because there is no barrier to adoption. In the case of continuous innovation, adoption is evident. It may just take a little time. Discontinuous innovation is disruptive, forcing a change in business and people’s behaviour. This is the kind of innovation that might not always work. It might not cross the chasm and forever persist at the low end of the early adopters. A discontinuous innovation might also cross the chasm and revolutionise the world. Examples are: refrigeration, air travel, personal computers, cell phones and the Internet, to name a few. Crossing over the chasm is the adoption of a brand new technology. A recent example of a discontinuous technological innovation that has crossed the chasm is the social web. Not only are blogs, wikis, social networks, and forums being used by the early majority, the rate of adoption was unusually fast. It seems like Wikipedia, Facebook and Twitter appeared just about everywhere overnight. The social web didn’t have a problem crossing the chasm because it had impetus. The social web had both speed and popularity. The speed of diffusion came from the medium, the Internet. The popularity came from lots of happy users: a great idea, easily propagated and broadly adopted. Hence the chasm was crossed successfully. What has taken longer is understanding how to apply the social web to business. In the past decade, many of us have been asking: how do you profit on a technology that you give away and that contains user-generated content? This question has kept business largely at the chasm’s edge, questioning the future. Will we reach the majority adoption or fall in the pit?. Should we slowly, methodically, build a bridge? 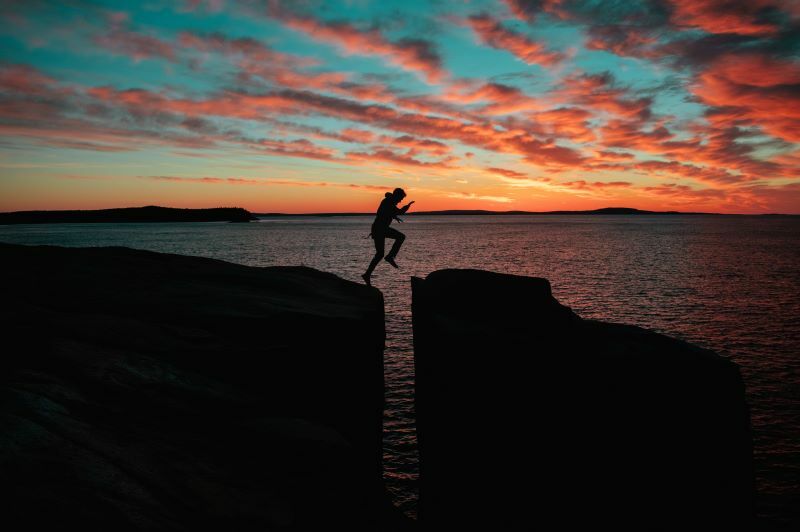 Should we take the leap of faith and hope for the best? Or should we wait for someone else to lead the way? The enigma has been that the social web was not built by business for use by consumers like innovations of old. It was built by consumers for consumers. Businesses were not a part of the social web when it began. Hence the doubt over its adoption in business at later stages. Overtime the adoption of social into business became mainstream. Today it is a must need of the hour. We have a similar story when it comes to adoption of Agile methodology in business. We try to apply the lessons from Moore’s work to a movement rather than a piece of technology. Fortunately, to do that we just need to take a small rational leap. Agile marketing may currently be in the fad state, which Moore calls “something with no known market value or purpose but with ‘great properties’ that generate a lot of enthusiasm within an ‘in crowd’ of early adopters. That’s the early market.” That early excitement attracts the attention of the rest of the world. They watch to see if anything will come of this silver lining. While they watch, the product or the idea or innovation fades away in the chasm. Followers and advocates of Agile, then, need to start attacking the status quo, tranquillizing fears of risk. They must voice out some very convincing reasons for marketers to consider Agile. Moore’s theory is typically applied to companies that make B2B technology. But he recognises that the idea has relevance in B2C marketing and other areas too. So we may need to make some changes when applying the concept to Agile marketing, but it should not be much of an adjustment. In the world of innovation, B2B technology, marketing teams drive their product across the chasm by understanding that the people in the early majority are psychologically dissimilar from early adopters. You can use innovators as case studies for early adopters, and they will be keen to follow the innovators into the new community. They are, in fact, looking for a change agent. Early adopters anticipate revolutionary changes. They prepare themselves to succeed against all resistance. They see risk as an opportunity to move forward. The early majority, on the other hand, do not want to hear about the early adopters using new technology. To them, early adopters take chances needlessly. Generic product: This is what is shipped in the box and what is covered by the purchasing contract. Expected product: This is the product that the customer thought he was buying when he bought the generic product. It is the minimum configuration of products and services necessary to have any chance of reaching the buying purpose. For example, when you buy a smartphone, you need to have either a Wi-Fi network or a cellular connection for it to work. But either one is purchased separately. Augmented product: This is the improved product to provide the maximum chance of achieving the buying purpose. In the case of a smartphone, this would include email, a browser, a calendar, a personal directory, a search engine, and an app store, for example. Potential product: This represents the product’s room for growth as more and more similar products come on the market. Customer-specific improvements to the system are made. The fact that for the Apple iPhone there are, thousands of apps in its App Store that I can buy to extend its usability and value. Hence this becomes is one of its key selling points. The chasm is very much a reality in today’s marketing strategy as it was when introduced. Probably today even more. The pace at which technological innovations try to find a place in the market among many others, the understanding of the chasm will be a good step forward towards building that ladder to cross it. Are you facing troubles crossing the chasm? Leave us with your comments or questions. Even better, get in touch with us! Voice search: Hey “whatever” are you here to stay? Innovators? Early adopters? Where do you belong?